What is the best 3D printer in 2019? We reference over 1,500 3D printers in our 3D printer database. Finding the best 3D printer can be a challenging and time-consuming task, especially for those who are new to 3D printing. That’s why we decided to put together this list of the best desktop 3D printers in 2019. Our goal is to cut through the clutter and select ten of the best 3D printers currently on the market within different price ranges (from $239 to $3,495). For this list, we focused on top-rated consumer 3D printers, also referred to as desktop 3D printers. We didn’t consider the most expensive 3D printers on the market, as prices can reach up to hundreds of thousands of dollars and are exclusively industrial 3D printers. 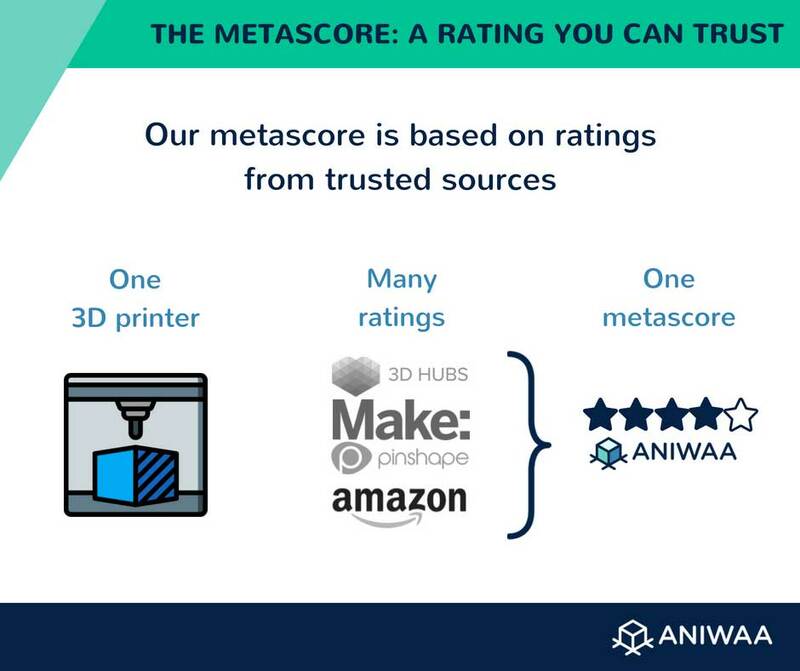 This table shows our selection of the 10 best 3D printers on the market in 2019, ranked according to metascores. It is possible to rank by price or build volume by clicking on that specific column title. *MSRP: manufacturer’s suggested retail price. These can vary over time and/or from one country to another (shipping fees, import taxes, etc.). The Original Prusa i3 MK3 grabs the top spot in our selection of the best 3D printers in 2019. This list is non-extensive, there are many other 3D printers on the market. Although these 3D printers are packed with quality features, we recommend doing your own, additional research. Methodology/disclaimer: we have not tested all of the desktop 3D printers in this list. Our selection is based on overall feedback from specialized, trusted sources as well as crowdsourced user reviews. Read more about How we work. To get a full overview of the 3D printer market, our 3D printer comparison engine is a useful tool. The Original Prusa i3 MK3 is a workhorse 3D printer manufactured by Prusa Research. All of the Prusa MK3’s parts are open source, making it easy to repair and maintain. 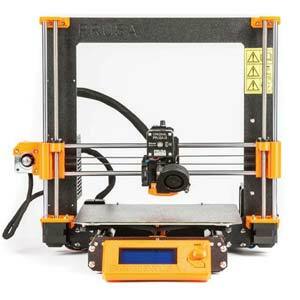 The Original Prusa i3 design is well-known for its reliability, robustness, and upgradability. This 3D printer’s previous versions (MK2 and MK2S) have received numerous awards from 3D Hubs and Make: in various categories over the years. The Original Prusa i3 is also widely praised by the 3D printing community as one of the best desktop 3D printers ever made. The 3DWOX 1 is an upgraded version of the popular 3DWOX DP200 from the same manufacturer. With its HEPA filter and closed frame, the Sindoh 3DWOX 1 is convenient for office and home environments. This desktop 3D printer boasts a 5-inch touchscreen, and users can also launch and monitor prints from the 3DWOX mobile app. 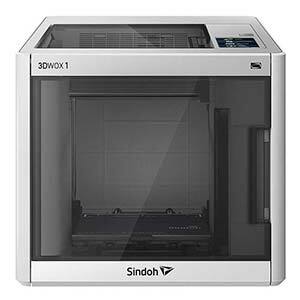 Sindoh also manufactures the 3DWOX 2X, a (more expensive) desktop 3D printer with IDEX (independent dual extruders). The CraftBot PLUS (2nd generation) won the 3D Hubs “Best plug-n-play 3D printer” award two years in a row, in 2017 and 2018. 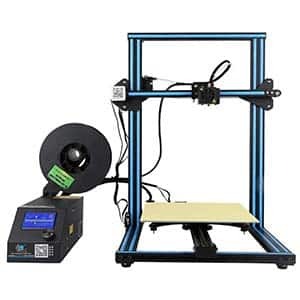 This FFF 3D printer’s all-steel frame provides durability and stability while its touchscreen and Wi-Fi connectivity make it easy to use. One of CraftUnique’s key selling points is their customer service which is, according to users, very helpful and responsive. This desktop 3D printer is the third iteration of Tiertime’s original UP mini. The Tiertime UP mini 2 ES offers great value for money and is suitable for both beginners and professionals. It boasts a range of features that are usually not available at this price point: a HEPA filter, an enclosed build chamber, automatic calibration, and more. Read our full review of the Tiertime UP mini 2 ES for more information. 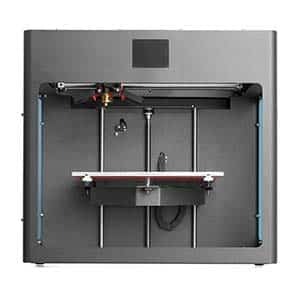 The Ender 3 is among the best 3D printers under $300. It comes as a kit that requires some basic assembly steps and is suitable for users that are willing to tinker. This affordable desktop 3D printer’s main advantage compared to its rivals is its large build volume. 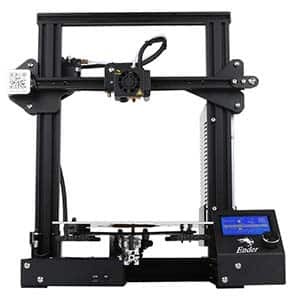 Users praise the Ender 3’s reliability and ease of use, making this budget 3D printer kit one of the top-sellers of 2018. Since its initial launch in 2014, the Creator Pro has received various upgrades and, consequently, awards– 3D Hubs “Best enthusiast” in 2016 and 3D Hubs “Best workhorse” in 2017. The FlashForge Creator Pro (2016 version) features a closed frame for ABS prints, all while enabling users to easily access their prints via the top lid and front door. Furthermore, its dual extruder allows users to 3D print with two filaments at a time, including soluble support material. The Creality CR-10 3D printer kit has become a classic model in the 3D printing community due to its large build volume and great 3D printing quality. Requiring a few assembly steps, users will need to tinker a bit with this DIY desktop 3D printer to make the most of it. In 2018, 3D Hubs named the CR-10 “Best budget 3D printer”, thus cementing its position among the best cheap 3D printers currently on the market. 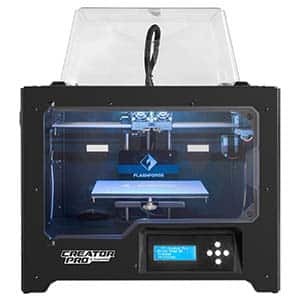 The CR-10 Plus (a.k.a. CR-10 Max) is also available, with an even larger build volume of 500 x 500 x 500 mm. LulzBot’s 3D printers have a long history of awards and positive user reviews. 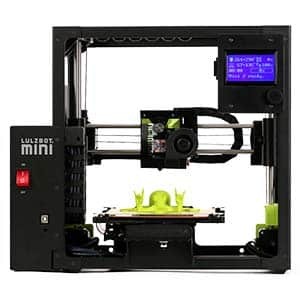 The first version of this 3D printer, the LulzBot Mini, won the 3D Hubs title of “best plug-n-play 3D printer” for three consecutive years (2016 through 2018). The LulzBot Mini 2 boasts a 20% increase in build volume compared to its predecessor and is equipped with an “Aerostruder”, a next-gen extruder head. The Dremel line of DigiLab “Idea Builder” 3D printers, which also includes the 3D20 and 3D40, is well-known for targeting the Education market with safe, easy-to-use and reliable desktop 3D printers. 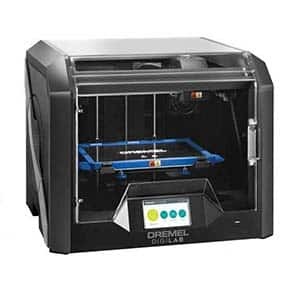 Over the years, more and more features have been added to this flagship series which is now spearheaded by the Dremel DigiLab 3D45 3D printer. The Idea Builder 3D45 is equipped with an HD camera, carbon air filters, material detection (for proprietary/authorized spools), and more. It won the PCMag 2018 Editors’ Choice Award. Ultimaker’s 3D printers are consistently praised by the 3D printing user community. 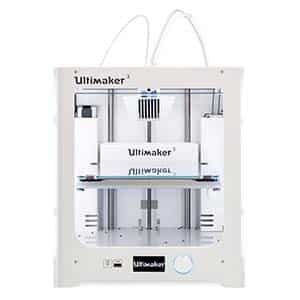 The Ultimaker 3 is the updated version of the popular, award-winning Ultimaker 2+. This professional desktop 3D printer features a dual extruder, automatic bed leveling, a built-in camera, and other interesting attributes. For users requiring a large build volume, Ultimaker also manufactures the Ultimaker 3 Extended and the more recent, professional-grade Ultimaker S5. Below are a few 3D printers that are of excellent quality but that, nevertheless, haven’t made it into our main selection. The classic Zortrax M200, awarded throughout the years as one of the best plug-n-play 3D printers on the market, has evolved into the M200 Plus. The Zortrax M200 Plus is equipped with an onboard camera, a closed frame, and other features. 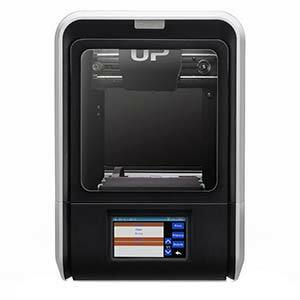 We didn’t include this professional desktop 3D printer in our main list due to its current lack of metascore. Barcelona-based BCN3D manufactures reliable and sturdy 3D printers. The BCN3D Sigma R19’s key feature is its IDEX (independent dual extruder) print head. 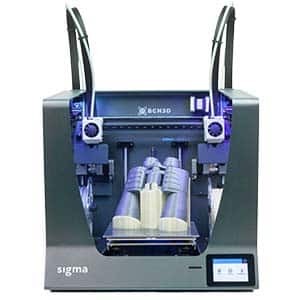 We didn’t include this professional desktop 3D printer in our main list due to its current lack of metascore. 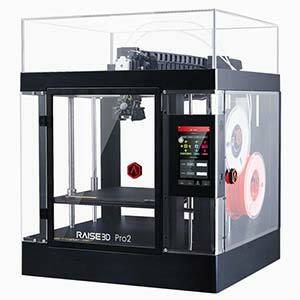 The Pro2 is a large volume 3D printer built on the success of the popular Raise3D N2. This workhorse is suitable for small production series and is compatible with a wide range of engineering thermoplastics. The Raise3D Pro2’s long list of features make it a great 3D printer for professionals, but isn’t part of our main selection due to its price (over $3,500). The MakerGear M3 is a professional desktop 3D printer based on the top-selling MakerGear M2 which earned various awards from 3D Hubs. This FFF 3D printer is available with either a single extruder (M3-SE) or an independent dual extruder (M3-ID). The TAZ 6 is a multiple award-winning desktop 3D printer. Its predecessor, the TAZ 5, also won several awards in the past. This robust desktop 3D printer offers a large build volume and a few user-friendly features such as auto bed leveling and an automatic nozzle-cleaning system. 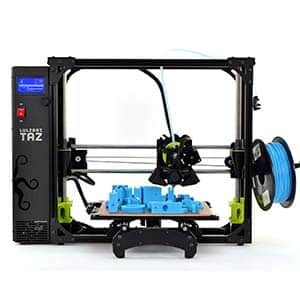 However– although we do not deny that it is of great quality– the LulzBot TAZ 6 (released in 2016) is quite pricey considering today’s state of the 3D printer market. 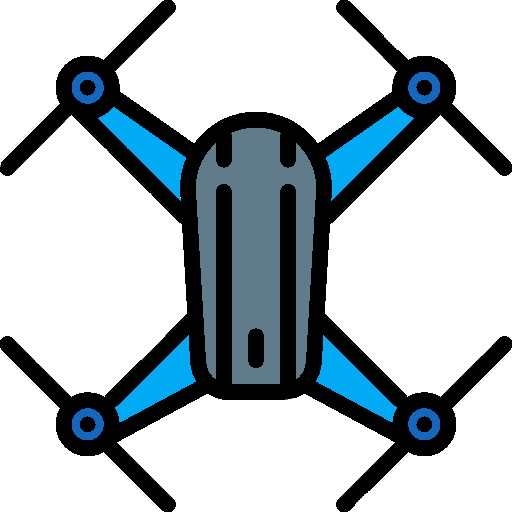 At this price point, some key features that could be expected include Wi-Fi connectivity, an enclosed build chamber with air filters, a dual extruder, an onboard camera, or even a color touchscreen. Read more about our selection methods: How we work. What to look for when buying a desktop 3D printer? Here is a short FFF 3D printer buying guide. 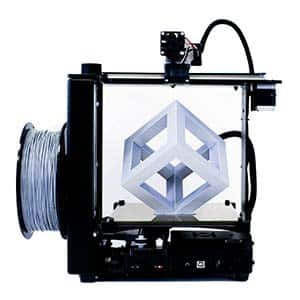 In this list of the top 10 3D printers in 2019, we focused on FFF (fused filament fabrication) 3D printers. This extrusion technology is ideal for creating prototypes, end-use parts, or simply objects for hobbyists. For professionals in dental or jewelry industries where high precision and detail is required, resin 3D printers are more adapted (SLA, DLP, or LCD-based technologies). See our list of the best resin 3D printers for more information. A heated print bed is mandatory for users that need to 3D print with ABS or other more demanding materials. The build surface’s heat helps to prevent warping and offers better first-layer adhesion. Flexible build plates allow for easier print removal once the 3D printing process is complete. A growing number of 3D printer manufacturers add automatic or “assisted” bed leveling functions to their 3D printers. This feature is a real time-saver! Indeed, manual bed leveling can prove to be tricky and, if not done correctly, it can really throw off print quality. Some 3D printers also have NFC readers to adjust their temperature settings according to the detected material. Often, this only works with the specific 3D printer’s proprietary filament spools. We’ve seen more and more 3D printers with dual extrusion appearing on the market lately, but this neat feature isn’t that common yet. A dual extruder enables users to 3D print with two different colors or materials simultaneously, including soluble support material for complex objects. Duplication mode: the print heads 3D print two identical objects at the same time. Mirror mode: to 3D print an object twice as fast as with just one extruder, each nozzle completes one half of the object. Some 3D printers are equipped with an onboard camera. This allows users to save time-lapse videos or to check on their 3D printers’ progress. Almost every recent 3D printer model comes with at least a small, basic LCD screen. For a more intuitive user experience, some 3D printers boast large, color LCD touchscreens. When coupled with a USB port, SD card slot, and/or Wi-Fi connectivity, users may easily launch 3D prints without having to tether the machine to their computer during the whole process. A few manufacturers even develop their own mobile apps in order for users to monitor 3D printing remotely and be notified on their smartphone/tablet once a 3D print is complete. Differences between two different layer thicknesses. 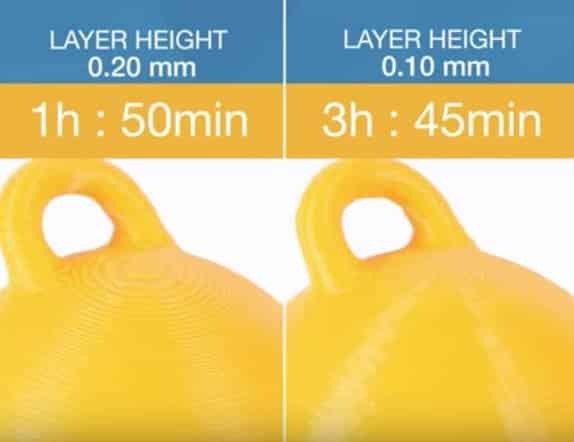 3D print quality is intricately linked to layer thickness. This is the minimum height of each successive layer that forms the 3D printed object. The thinner the layers, the less we can distinguish them and the smoother the object will be (similar to the ratio of pixels in an image). The typical minimum layer thickness for mid-range or entry-level 3D printers is 100 microns, or 0.1 millimeters. However, thinner layers means more layers required to complete an object, which translates into more 3D print time. If a quick prototype or object is required, settings can be changed to 3D print thicker layers. The build volume is the maximum size of a 3D printed object on a specific 3D printer. Large volume 3D printers are useful for 3D printing a series of objects or for large parts and prototypes. Smaller build sizes are fine for those who just wish to experiment with 3D printing, or users who don’t need to 3D print large items. At this point, for consumer/prosumer 3D printers, print speed could more or less be overlooked. Most entry-level and mid-range desktop 3D printers can 3D print up to 150 or 200 mm/s. However, it’s generally safer (quality and detail-wise) to print at a much slower speed anyways, such as 60 mm/s. One must learn to tame 3D printers to get decent 3D prints, especially with open-framed machines. Many variables can interfere with 3D print quality, such as temperature changes and room drafts. That’s why 3D printers with an enclosed build chamber tend to provide better quality prints, in addition to reducing noise and odors. 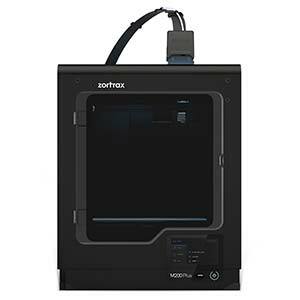 Some manufacturers such as Zortrax sell add-on panels/covers separately for their open-framed 3D printers. A closed frame is almost mandatory when 3D printing with ABS and Nylon (among other materials), but for PLA filament, an open frame is fine. For basic protection it is possible to add makeshift “walls”, with cardboard or plexiglass for example, around an open-framed 3D printer. There are countless DIY 3D printer frame projects on the web for users to choose from. We have a list of the best 3DP communities and forums that house extensive information for many 3D printers. When a user encounters an issue, it’s likely that others have previously encountered the same issue and that they’ve already posted questions/answers about it. There are entire threads and Facebook groups dedicated to certain brands or 3D printer models. Model-specific information can be found with a quick search engine query. With basic precaution, 3D printers are relatively safe to use. It isn’t recommended for children to use a 3D printer by themselves, though, as they could get burned. Also, there have been a few concerns over harmful particle emissions from melted filament. Therefore, it’s best to use closed-frame 3D printers with HEPA filters, and to use 3D printers in well-ventilated areas. Can 3D printers print metal? What 3D printers can print metal? Yes, some 3D printers are able to 3D print metal using various metal 3D printing technologies (SLS, SLM, and more). See our overview of the metal 3D printer market for more details. What is the best 3D printer for jewelry? For jewelry, resin 3D printers are more adapted than FFF 3D printers. They use SLA, DLP, or LCD-based technologies to produce objects with fine details and smooth surfaces. For more information, here’s our list of the best resin 3D printers. Can 3D printers print in color? Yes, some 3D printers can print in color. Read our full-color 3D printing article for more information. Yes, 3D printers with paste extruders can print specific types of food. For further details, see our selection of food and chocolate 3D printers. What are the best cheap 3D printers under $300? Try 3D scanning for free with these free 3D scanner apps for smartphones. We have more than 1000 3D printers listed in our database for our 3D printers comparison engine.